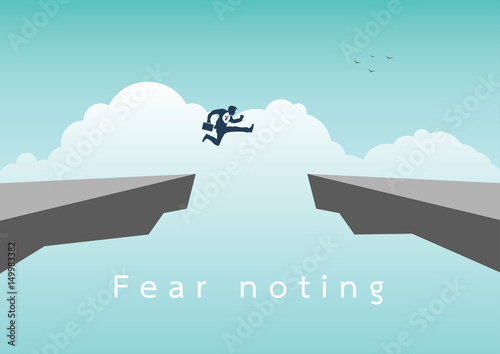 Businessman jumping over chasm vector concept. Symbol of business success, challenge, risk, courage. vector illustration.